This is a Two Circle Venn Diagram template. 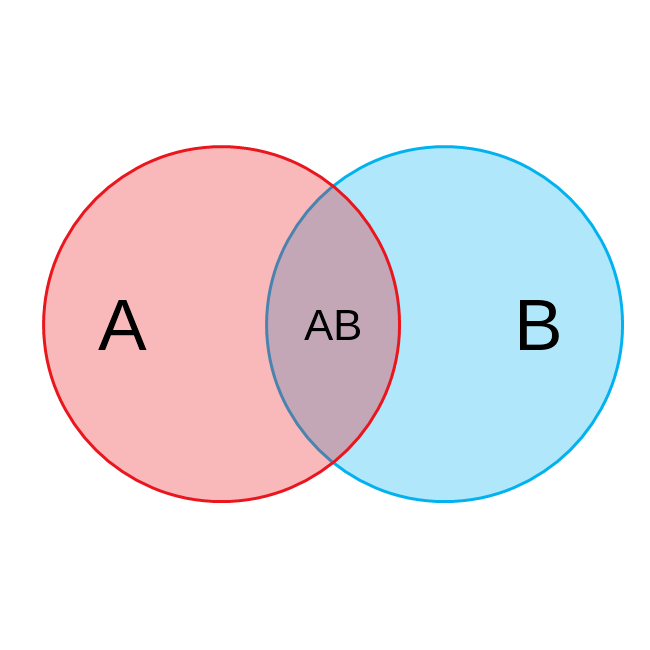 On this example you can see the intersections of 2 sets A and B. Use MyDraw to create your own 2 set Venn diagram in minutes.